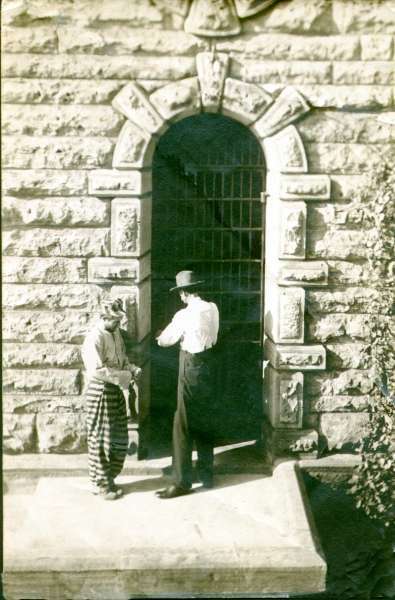 Inmate in striped clothing, representing the 3rd "grade". 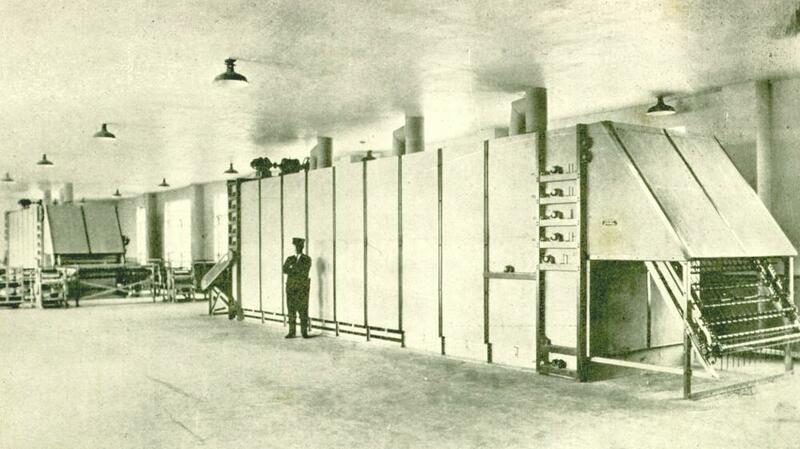 An inmate could eventually earn his way to wearing less glaring clothing. 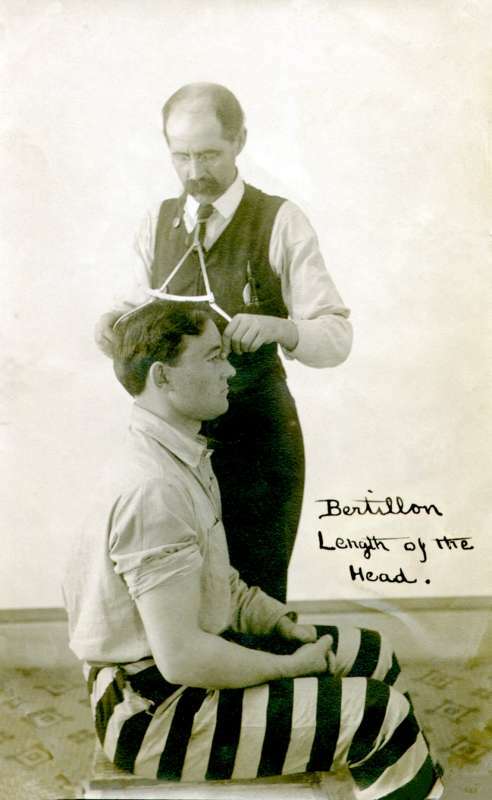 Bertillon #1: the Bertillon system was widely used in early corrections as a means of identifying inmates by using head measurements. 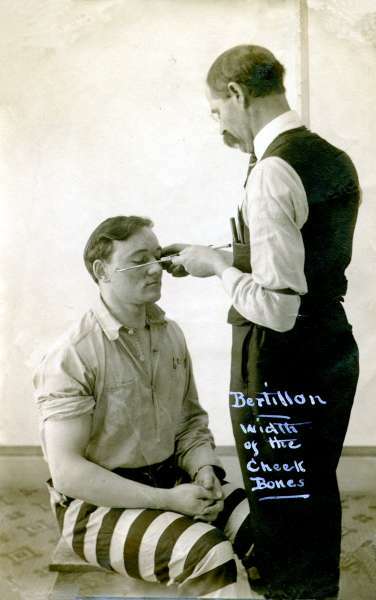 An inmate being placed into (or taken out of!) solitary confinement. Locomotive exiting institution. 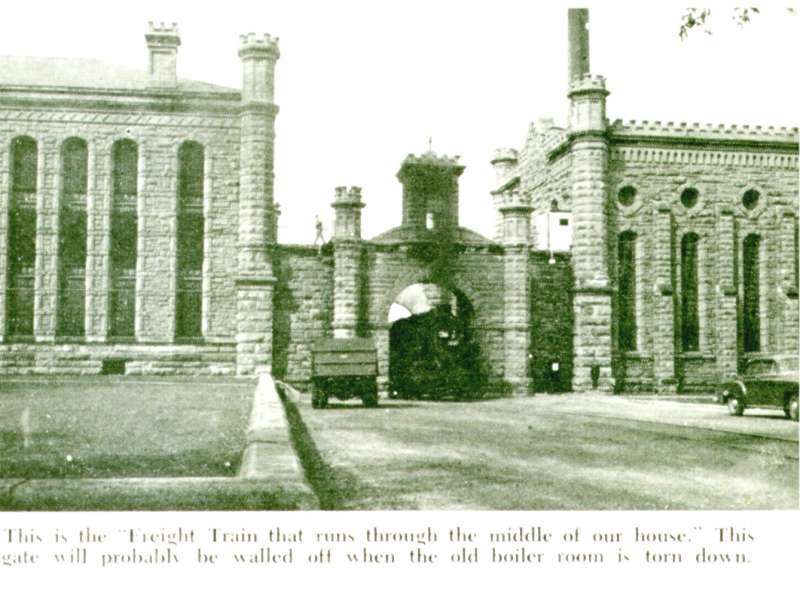 Contrary to the caption, this gate was never "walled off", and is still in use, although trains no longer service the institution.